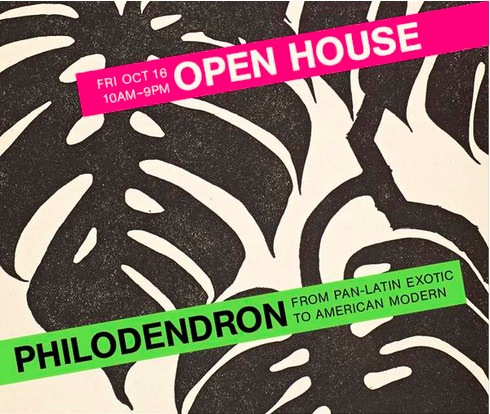 On Friday, October 16th, celebrate the opening of a new exhibit at the Wolfsonian-FIU titled Philodendron: From Pan-Latin Exotic to American Modern. The exhibit tracks the migration of tropical plants from their native habitats to North American and European garden and interiors. Spanning three centuries, the flora of Central and Latin America is featured prominently, a live installation. The open house runs from 10 am to 9 pm.